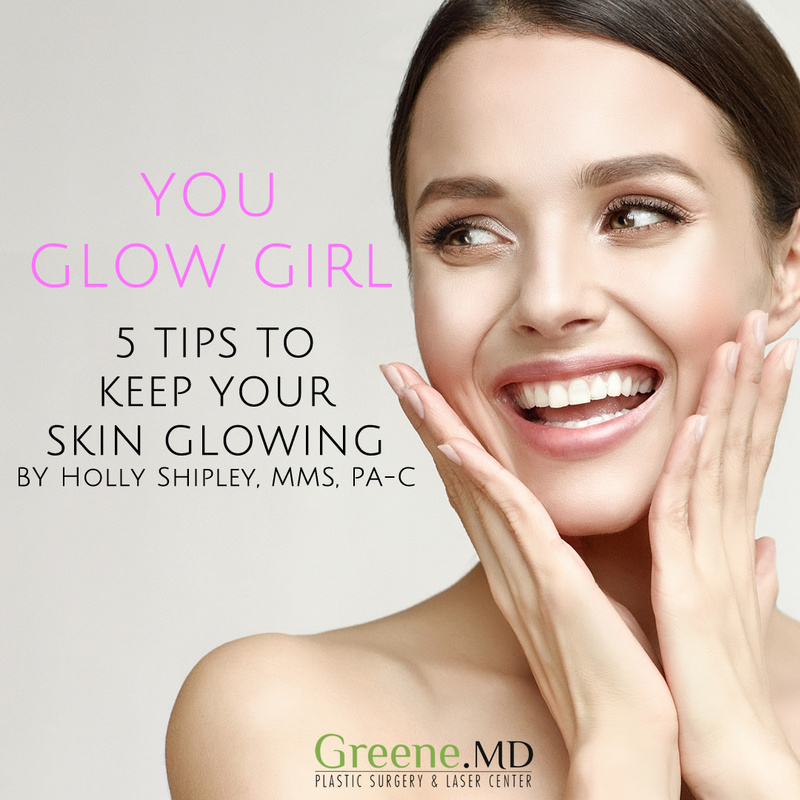 Here are FIVE TIPS to keep your skin #glowing in the winter. Stay moisturized. Make sure you choose a good moisturizer and apply twice a day. ️#ProTip: Apply your moisturizer immediately after washing your face. Damp skin better absorbs the moisture and locks it in for a longer time. Drink plenty of water. Remember, you need to also hydrate from the inside out! Internal hydration is just as important as external. Protect your skin. Even though the temperature may be colder outside, the winter sun can be just as damaging. Wear sun protection DAILY. I recommend safe options, such as Zinc Oxide or Titanium Dioxide. My favorite: @EltaMDskincare Tinted Sunscreen SPF 40. #Exfoliate: To really achieve glowing skin we need to slough away the dead layers of skin! My favorite in-office treatments for exfoliation are chemical peels and dermaplaning treatments. #Collagen is one of the largest factors for keeping your skin healthy. You can increase collagen production with treatments, such as Lasers, IPL, and Microneedling, and now is a great time for these treatments because it is easier to avoid the sun during these months.